A detailed reference book including all you need to know about the latest xEVs' battery packs and the direction of the industry. Consult the Report’s comprehensive review of the battery-pack technology used in current xEVs to guide your future work. 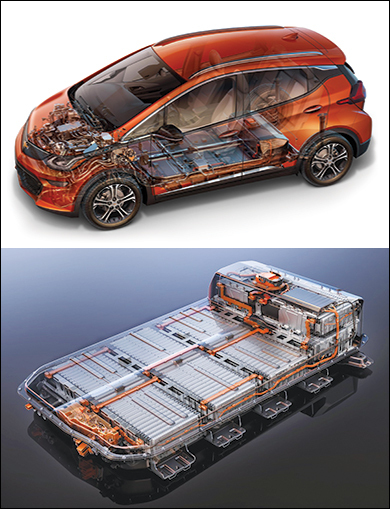 Gain insights into the trends of automotive battery-pack technology. Learn about automotive energy-storage system and subsystem design trends and individual cell and pack producers. Use this all-inclusive assessment of battery-pack technology to sharpen your investment decisions. Mr. Konecky brings over 20 years of xEV experience to his work, having worked on multiple complex designs for battery system development, charging system integration, and high-voltage powertrain integration. Projects cover a wide array of OEM and Tier-One companies (including GM, BMW, Daimler, Chrysler, Fisker, Chinese stealth OEM, Denso, Flex, EnerDel, Cobasys, Boston-Power and others). He is skilled at new product design and development, product testing, product safety, integration of multiple sub-systems for vehicles, new product launches and has expanded his skillset beyond batteries into power electronics. His experience in batteries includes multiple technologies (Li Ion, NiMH, UltraCapacitors, Lead-Acid).